By chartering Bayliner Ciera 285 you made a great choise to discover all the beauties of Croatian coast, totaly equipped with comfort. Boat is extremly powerfull and easy to navigate even for the rookies at sea thanks to bow thruster and new generation of propulsion duo-prop and easily balanced due to electrical hydraulic trim tabs. Fuel consumption is low wich takes economical ratio on your side. 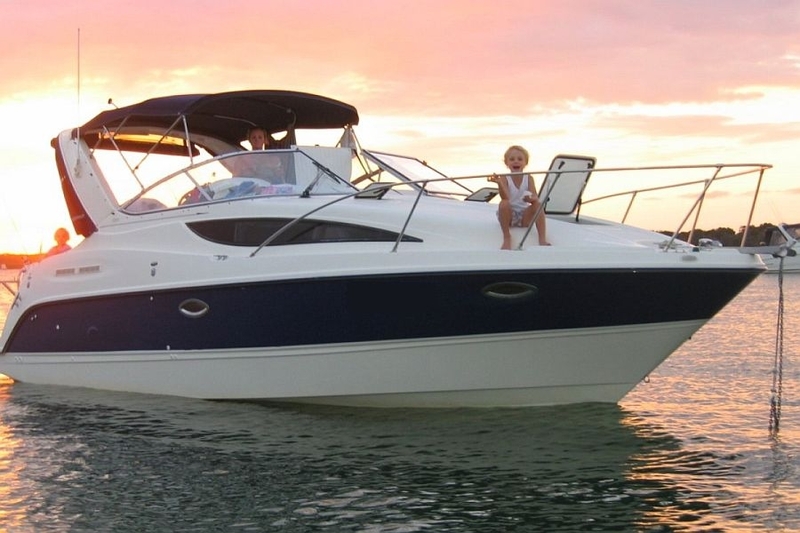 This motorboat takes up to 8 persons, in 2 spacious cabins, and thanks to lowerable table in saloon 5 participans can easily occupy the lower deck cabins. Toilet is equiped with brand new electric toilet, shower and sink. On board you also have Smart TV and acces to flat Wi-Fi internet. Wide and comfortable cockpit is equipped with removable table, and plenty of seating place. 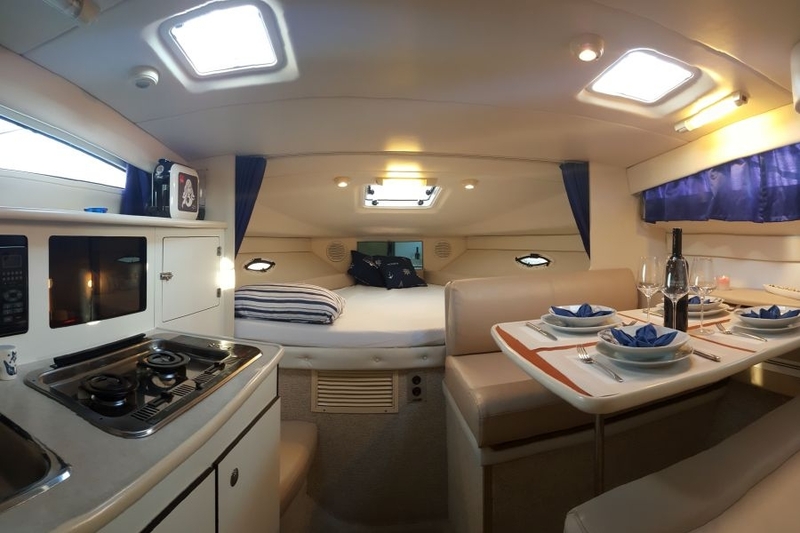 Step onboard the ciera 285, there's no end to your boating adventures. With the power, storage capacity and luxury design that will made you stay on the sea for longer period. 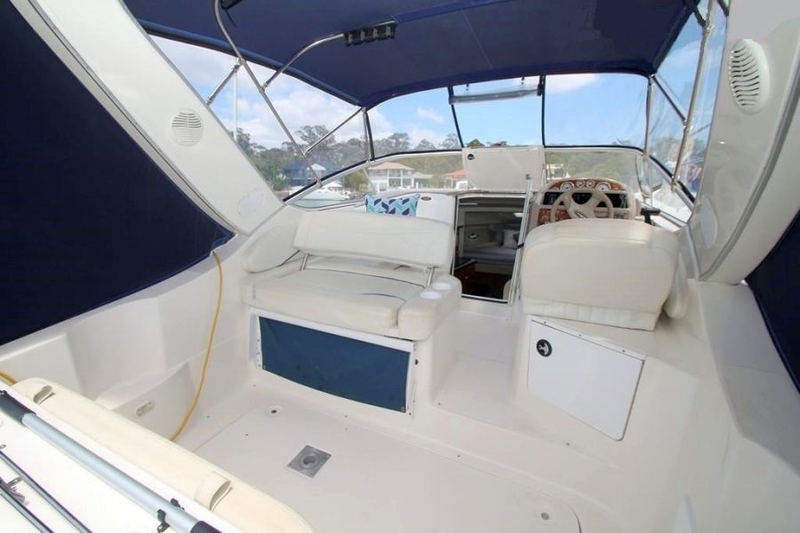 To navigate with this charter boat you need a basic skippers license. In case you dont have a license or you lack in experience we can always arrange you a skipper that will fulfill all your demands during your vacation.